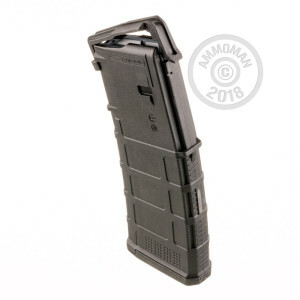 Magpul’s Gen M3 PMAG is a 30 round crush resistant polymer magazine with modified dimensions that permit it to function in a range of non-Colt AR-15 and M4 compatible weapons including the HK416, M27 IAR, FN SCAR MK 16, and more. 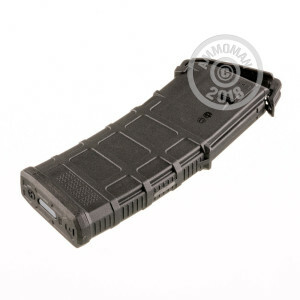 This magazine features constant curve geometry which assures smooth feeding, a durable stainless spring that won’t lose its elasticity with time, a self-lubricating follower for added reliability, and an over-travel insertion stop on its spine. 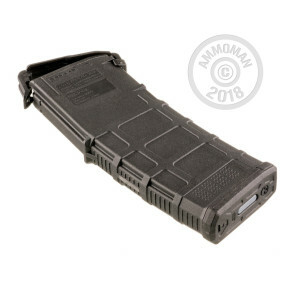 This magazine is easy to handle courtesy of its ribbed gripping surface, low profile ribs, aggressively textured front and rear sides, and flared floorplate. Its pop-off dust cover helps to prevent the intrusion of debris from contaminating your ammunition, and its paint pen dot matrix panels allow you to mark it as your own. 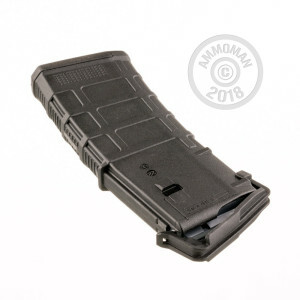 This magazine’s slim profile means it fits beautifully in double and triple magazine pouches, and its redesigned rear bolt catch notch offers increased bolt catch clearance.